Dedicated to providing higher education in over 40 different fields, Pitzer College lives on keeping a distinctive heritage and encouraging students to engage in community service learning. Founded in 1963 as the sixth institution of The Claremont Colleges, Pitzer began as a residential liberal arts campus for women with a curricular emphasis in the social and behavioral science. Pitzer was the first independent women’s college to open in the United States since Bennington College in 1932. Today Pitzer College admits over 1,000 students and staffs over 300 faculty and staff. 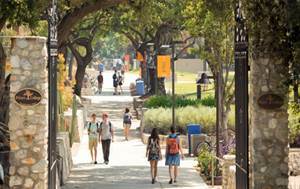 As a public location, ensuring safety of students, faculty, staff and visitors has always been important to Pitzer administrators, creating an atmosphere that is safe and conducive to learning. The level of security is seen upon by parents and prospective student and imperative due to the increasingly danger that is seen in education setting. Having a clearer picture of who is coming and when they are leaving campus allows students to focus on their education and less about their safety. In the last decade, our K-12 and higher education institutions have been facing increasingly more dangerous threats. Pitzer College needed a surveillance system that would be compatible with CUC Security office and getting the current cameras working on new software. The idea behind the compatibility was that Pitzer was looking to integrate the camera system with the security Office at some point in the future, increasing the cohesiveness of the Surveillance systems and the campus first responders. This lead Pitzer to look at upgrading the OnSSI Legacy System to Ocularis 5.0. Pitzer looked at other vendors for a similar solution, however, vendors were not responsive and it would take longer than anticipated for licenses to be accessible. This is when they looked to Netgain for a Surveillance solution that offers a multitude of benefits scalable to grow and integrate with current system. Identifying Pitzer’s requirements allowed Netgain Networks, Inc. to implement the solution that meet their timeline. The current system was older version OnSSI’s software, the physical video management server had reached end of life, and additional storage was needed to increase camera coverage though out the campus. During the design phase Netgain Networks meet with the Pitzer IT staff and identified a deployment model in which the video management server was to be virtualized using VMware ESXi. Doing so would allow Pitzer IT to manage and maintain the server like other nodes in the university’s VMware cluster, while providing hardware independent flexibility to the deployment. Virtualization reduced the need for multiple physical servers and allowed for storage expansion on the fly. The software upgrade path to OnSSI’s Ocularis Enterprise was driven by the need to integrate to CUC Security office. The Ocularis solution is designed for large organizations with extended command and control needs. Ocularis provides centralized recording server management, an unlimited number of cameras, as well as compatibility with the VideoWall add-on. The VideoWall allows for collaborative control of video walls at multiple sites, making the software a must for Pitzer’s threat and safety strategy. During the course of the project 30 additional camera were added to campus as part of the Pitzer’s. Most were focused on enhancing blind spots in common area camera placements within the campus. The main entry and exit points as well as in lobbies, cafeterias, gyms, main hallways, and other areas where students are known to congregate. The campus wide project took a phased approach over several months in which Netgain Networks worked which Pitzer Facilities, IT, and installer team to meet an expedited summer timeline, culminating in a seamless migration of 104 cameras and addition of 30 new cameras. Netgain Networks and OnSSI responded with a platform designed for prevention as well as fast response in real time. With access control integration, advanced alerts, and video sharing, Netgain helped raise safety standards campus wide, and delivered the solution on time within budget. 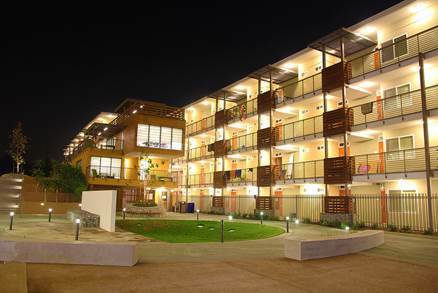 In the process, challenges where addressed and Netgain was able to help Pitzer College through their expansion, supported their threat & safety strategy, and created a new partnership on the way. With Netgain and Ocularis focused on safety, professors, faculty, and students can focus on studies.